and competitions which you can take part in…. 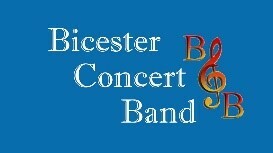 Bicester Concert Band is a well-established and thriving community band. Now under the leadership of Wendy Marks, a talented woodwind teacher and conductor, the band has played an important role in Bicester life since its inception twenty years ago. As well as arranging its own concerts, it has featured at the Bicester Christmas Lights Ceremony, at Thame’s Remembrance service, and at many local fetes and charity events. Every year, in all kinds of weather, it has played on the bandstand in Garth Park, Bicester, and in 2018 in St Edburg’s Church during their Christmas Tree Festival. New members are always welcome. Band rehearsals take place every Tuesday in term time in the superb acoustic of the newly-built St Edburg’s School hall, Kingsmere. If you are interested in joining, do get in touch – we invite you to come along for a couple of sessions for free, by which time you will know if we are the sort of music group that you are looking for, and we will know if there is a place for you in the band. A certain amount of playing experience is desirable. A group of local musicians playing the whole range of the recorder family between them, and specialising in quartets, quintets and sextets. They appear every year at the St Edburg’s Christmas Tree Festival, at special church services and other local events. 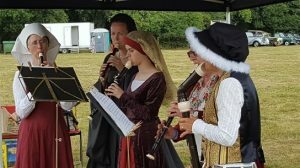 Playing music from all eras, their core repertoire is Tudor and Elizabethan and, when the occasion arises – such as a local Tudor Banquet, and at Shelswell History Festival – they dress in Tudor costume. Brackley and Cheney Music and Performing Arts Centre is run by a team of enthusiastic and experienced teachers and provides an exciting selection of music, art and drama sessions. For younger children who perhaps have not started to learn an instrument yet, they offer an introduction to music through the use of instruments such as the ukulele, recorder, glockenspiel and percussion, and also encourage the children to sing and take part in lots of fun music games. There are lots of other music groups for those who already play an instrument, including orchestras, Jazz bands, strings, woodwind, brass, chamber, guitar and ukulele, percussion and rock bands! The centre also provides art groups enabling all children to explore many aspects of art using pastels, paint, pencils and collage, plus areas of craftwork and Musical Theatre and Drama groups. All abilities catered for! Children are welcome to go along for a no obligation taster session any Saturday during term time. Brackley is one of only 7 Cotswold Morris sides listed by the Morris ring as ‘traditional’, and the only one to survive in Northamptonshire. The side can’t claim to have the earliest record, nor can it claim the longest continual existence. Nevertheless we have records dating back to the early 1700s, and there’s a strong local belief that the Morris Men were associated with the presentation of an engraved solid silver communion plate dated 1623. Check out the history page on our website to find out more about our long and colourful story. As with most Cotswold sides, we wear white shirts and trousers. However the men each choose their own colours for baldrics and rosettes, a practice thought to date back to the time when the men went touring from Brackley and picked up dancers from other local villages on the way. Our annual outings are on May Day, St Georges Day, Boxing Day and over the August Bank Holiday weekend. We also perform at fetes and other social events throughout the year. Founded in 1999, Ferrets2000 is a member of the National Ferret Welfare Society. 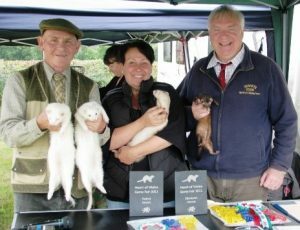 Its members share a love of ferrets, the countryside and meeting the public. A member of the Mustelid family, ferrets have an average length of about 50 cm including the tail. They can be brown, black, sandy, white or mixed and weigh between 0.7 kg to 2.0kg, with males being larger than females. The average life span is 7 to 10 years. They are most active at twilight , and can sleep between 14 to 18 hours per day. Ferrets have been domesticated for approx. 2500 years and used for hunting purposes. Their body shape and inquisitive nature makes them ideal for hunting burrow-dwelling animals such as rabbits and rodents. Male ferrets are called hobs; female ferrets are jills. Ferrets under one year old are known as kits. A group of ferrets is known as a “business”. Ferret races are organised with the welfare of the ferret foremost. Pipes are about 10 metres long with viewing sections. Ferrets have a natural propensity for exploring tunnels and are left to their own devices once the race starts, making the results unpredictable. They may run, walk, stop and sniff, back up, swivel round and it is not uncommon for a ferret to curl up and sleep. The idea of the race is to promote the ferret and raise money for ferret rescue work, therefore, bets are small and the fun of the race is the reward in itself. The origins of tug of war are uncertain, but this sport was practised in Cambodia, ancient Egypt, Greece, India and China. According to a Tang dynasty book, The Notes of Feng, tug of war, under the name “hook pulling”, was used by the military commander of the State of Chu during the Spring and Autumn period (8th century BC to 5th century BC) to train warriors. During the Tang dynasty, Emperor Xuanzong of Tang promoted large-scale tug of war games, using ropes of up to 167 metres (548 ft) with shorter ropes attached, and more than 500 people on each end of the rope. Each side also had its own team of drummers to encourage the participants. Later tug of war became a pure contest of physical strength. 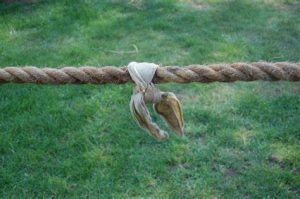 In Greece, the cradle of the ancient Olympic Games, tug of war was practised around 500 BC by athletes either as a competitive sport or as an exercise in the physical training for other sports. Tug of war featured in the Olympic Games from 1900 to 1920. Traditionally, a tug of war team has eight or more players. Register your team of eight (or thereabouts) in advance through Contact Us or before 2pm on 13th July at the Information Tent– the fun will begin at 2.30pm! The rules of the Tug of War Association may or may not be followed! A small entry fee will apply. Aunt Sally is a traditional English game usually played in pub gardens and fairgrounds, in which players throw sticks or battens at a model of an old woman’s head. Leagues of pub teams still play the game today, throughout the spring and summer months, mainly in Oxfordshire and some bordering counties. The game dates back to the 17th century, although the name “Aunt Sally” may have been a later addition. 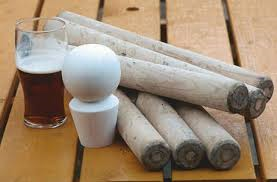 An Aunt Sally was originally the modelled head of an old woman with a clay pipe in her mouth; the object was for players to throw sticks at the head in order to break the pipe. The target has also been a puppet, live person, or a simple ball on a stick. There are also other theories of how the game started. One is that a live cockerel was placed on the stick, and people would throw sticks at it. Whoever killed it won the game and took home the chicken for lunch. Another theory is that in Port Meadow in Oxfordshire, at the time of the English Civil War, the Cavaliers (soldiers loyal to King Charles I) were bored and formed a game with sticks and makeshift materials similar to the game as understood today. 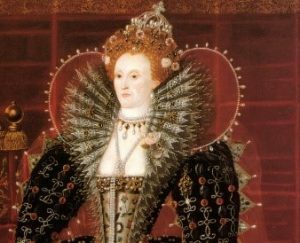 Come to the Festival dressed as a named figure from history. If you can tell us something about the person, so much the better! Judging at 3 pm in the Main arena. A small entry fee will apply.